Introducing Soul Craft What Is Soul Craft? All About Coming When And Where? Who Is It For? We are thrilled to have so many amazing teachers and speakers joining us for our inaugural Soul Craft Festival. We can't wait for you to meet them! 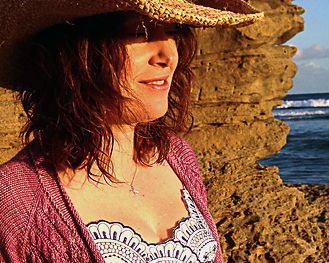 Elizabeth recently moved to the Macedon Ranges where she now works from her home studio. In her spare time between raising kids, tending the farm animals and garden, she knits obsessively to find inner calm, sews and embroiders. All of it brings immense joy and fulfilment. Grainline Studio is a pattern shop featuring modern patterns that will fit seamlessly into your wardrobe. All Grainline patterns are drafted with a contemporary fit and executed by a professionally trained team with your ease of use in mind. Grainline Studio began as the personal blog of founder Jennifer Beeman and expanded in mid 2011 after receiving numerous requests for the patterns she was creating for herself. Jennifer studied fashion design at Columbia College where she focused on pattern making and technical design. Prior to graduating she began working as a pattern maker locally until quitting to pursue Grainline Studio full time in 2014. Rachel is the founder of Fibreshed Melbourne and with a strong focus on visual communication, sustainability and community building, she uses her methodical, thoughtful, nuanced and supportive approach to connect user and provider viewpoints. She works to better understand people’s motivations and behaviour to deliver long-lasting outcomes. Nicki is a sustainability professional with 15 years of leading change projects as both a project manager and business manager. Reframing sustainability as a value proposition through integrated communications is her superpower. Nicki has project managed the delivery of the carbon accreditation programs for government, facilitated innovation in building design to achieve best practice sustainability awards and developed and implemented new economic models for sustainability in Government Housing. As a designer, knitter, weaver and seamstress of her own clothes she has a passion for textiles. She is the creator of a makers movement to make a locally sourced outfit to build community awareness on the impacts of the fashion industry and is driven to see lasting change in the way we produce textiles. Janet now teaches her creative passion both locally and internationally. Tom Dennis is a 6th generation Polwarth sheep farmer from Victoria’s Western District. His family arrived from Cornwall in 1840 and established Tarndwarncoort – the home of the Polwarth and now a thriving business blending tourism and farm-grown Polwarth yarn. Tom believes “growing local, growing green” is important and sticks to this “grass to garment” philosophy in how he grows and processes his wool. Naturally hand dyed and hand spun, Tom’s Polwarth craft wool is sold in small batches world wide. Tom’s vision for Tarndie is to continue to encourage an informed and educated market for a beautiful Australian craft wool product; to foster the creative development of indie designers and to provide spaces where people can connect with one another. Anna Farago is a Melbourne visual artist and teacher. She has been exhibiting since 2003 and has work in private and public collections nationally and internationally. Her current work investigates the use of feminist art making traditions including embroidery, quilting, natural dyeing, stitched text and patchwork within a contemporary art practice. She is particularly interested in her connection with memory and place. She is currently a MA Research candidate at Federation University, Ballarat. Anna has taught workshops at Hawthorn Arts Centre, Maroondah Art Gallery and The Craft Sessions. She has also held teaching positions at Brighton Bay Art, Design & Photography Program and at Elwood, Vermont, Upwey and Orbost Secondary Colleges. Tal Fitzpatrick is an artist, feminist, researcher and community development worker based in Melbourne. In 2018 she will graduate from the Victorian College of Arts with a practice-led PhD focussed on the subject craftivism. Driven by the power of craft to solicit the sharing of stories, Tal's work looks to drive social change by engaging diverse groups of people in complex conversations. Tal regularly exhibits her work and her piece the ‘PM Please Quilt’ is part of the permanent collection of the Museum of Australian Democracy, Old Parliament House Canberra. Colette Guanta is the founder and co-owner of Tessuti Fabrics, a company that started out in 1992 on the back of a recession that hit the fashion industry hard. Specialising in local and international designer ends and an ever-expanding pattern range, Tessuti now has three bricks and mortar stores as well as an online shop. Tessuti is a family business in the truest sense of the word. Colette works closely with her cousin Lisa, who oversees the Melbourne store and, through the blog and social media, assists with the digital side of the business. For the last six years Colette has been collaborating with her mother Silva, channelling her extensive experience in the fashion industry to create beautiful, timeless sewing patterns for women. Courtney is the founder of A.BCH, an independent Melbourne fashion label centred on total transparency and providing honestly engineered, fashion for global, conscious citizens. A.BCH offers a simple solution to complex issues within the fashion industry through brand ethos and education. From sourcing sustainable fibres, threads and components to advocating local manufacturing, Courtney is passionate about seeing change in the industry for good. Pioneering “whole garment design” where the entire lifecycle of each designed piece is considered and developed for a circular life, A.BCH takes full responsibility for every item it puts into the world. Courtney believes that upholding ethical and environmental standards need not be separate from running a profitable business and in fact that social-impact business is the way of the future. Beck Jobson is a Melbourne based designer/maker, curator and writer who has worked extensively in the local and international craft and design industry as a designer, facilitator and mentor. With the Victorian Crafts Council (Craft Victoria) Beck curated exhibitions, managed events and developed support, advocacy and education programs in roles from Retail Manager to Acting Director/CEO. She now juggles a textile based studio practice, small children, and freelance consultancy work. Beck spends her downtime listening to seventies funk and heavy metal records, watching sci-fi films and compulsively taking photographs of concrete. Ramona Barry is a Melbourne based writer, curator and maker specialising in craft and design, as well as an accomplished painter and poet. Her work has been published in both local and international print and online media. She has served as Chair of the Victorian Crafts Council, and regularly speaks publicly about contemporary craft practice. Ramona's latest role is the Art, Craft and Cookery pavilion coordinator for the Royal Melbourne Agricultural Show. Ramona relaxes by listening to geek film podcasts while handcrafting Christmas decorations… all year round. Handmadelife is the decade long collaborative craft project by writers and artists Beck Jobson and Ramona Barry. Their practice encompasses curation, writing, education, and making. Published works include I Make Stuff, Craft Busters zine, and The Craft Companion, released internationally through Thames and Hudson in the United Kingdom, U.S.A and translated into both French and Spanish. They run regular craft workshops in a range of techniques from their studio space at the iconic Melbourne Queen Victoria Market, and in major institutions such as the National Gallery of Victoria. 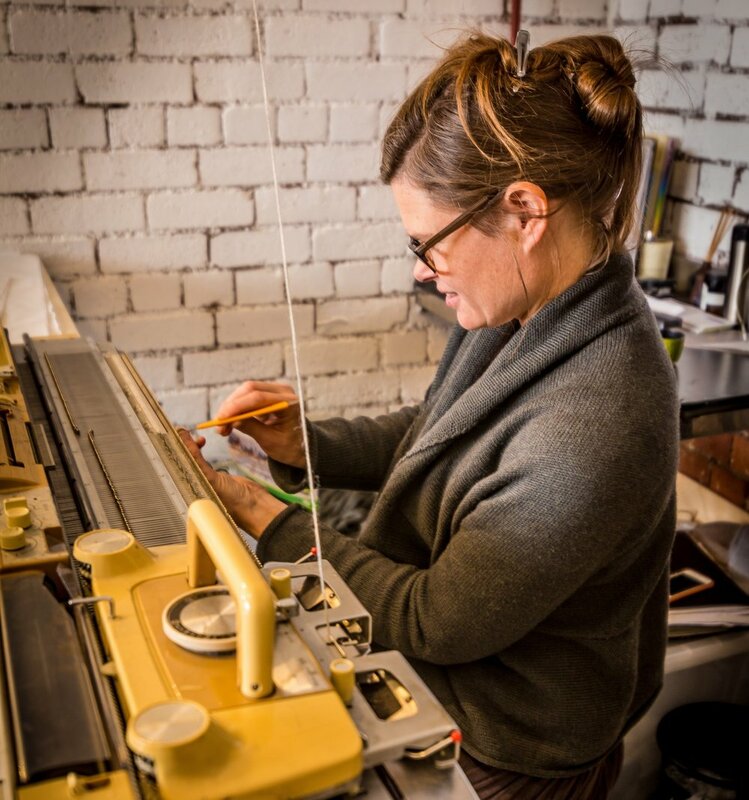 Leslie Keating is the designer and printer behind the sustainable textile label Maze and Vale and founder of the newly opened fabric and yarn shop in Melbourne's inner west, Fibresmith. A former graphic designer and life-long self taught crafter, Leslie's modern, simple design and muted colour aesthetic is instantly recognisable. She is passionate about encouraging others to break the "rules" of craft, try new ways of doing things and let go of the fears that surround learning. Ophelie comes from a long line of textile lovers. Her mother, grandmother, great-grandmother and sister are all avid seamstresses and design beautiful clothing. Scared of the sewing machine until recently, Ophelie turned to yarn and needles to satisfy her textile craving. Originally from Montreal, Canada, she settled in Melbourne in 2011 after a brief holiday. Having fallen in love with the Australian craft community, Ophelie now teaches knitting in Melbourne, and can be found roaming the aisles at local fabric and yarn stores. The intricate beauty of seemingly complex lace patterns are especially attractive to her, and she most enjoys adapting traditional patterns to take them in new directions. Jane Milburn is a sustainability consultant and founder of Textile Beat. She upcycled a career in agricultural science and communications to champion Slow Clothing as a creative and ethical way of dressing that engages hands, head and heart. Jane loves natural fibres and being in nature, which drives her to speak out about ways to protect the planet for future generations. Jane presents talks and workshops around Australia, based on her book Slow Clothing: finding meaning in what we wear. 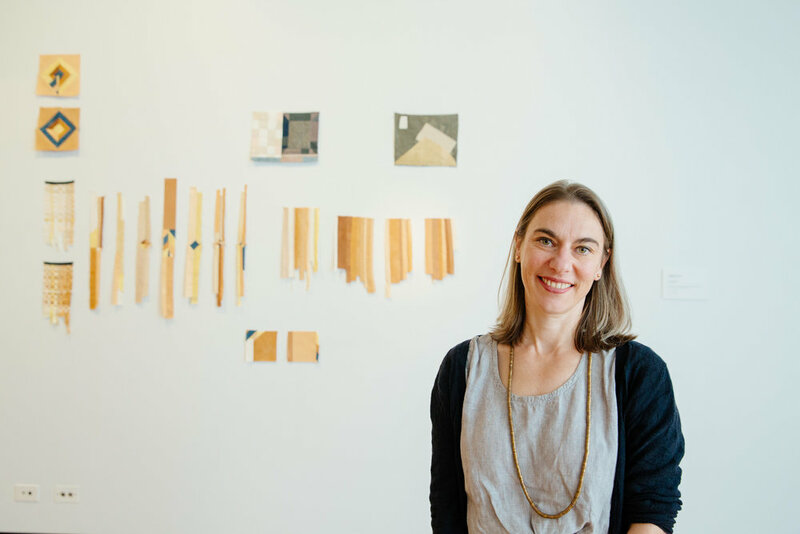 Natalie Miller is a registered architect, interior designer, and textile artist living in the beautiful Southern Highlands an environment of constant inspiration. Natalie has been practicing as an architect / interior designer for the last 25 years and has worked extensively with interiors particularly with textiles, carpet and fabric design throughout her career. Natalie focuses on the importance of the act of making. She has a very big drive to make and believes to make something every day is important to her. She loves to explore the different techniques of textiles, especially in weaving and macramé. Natalie also does most of her work with her hands and feels like tools should never dominate. Natalie is extraordinarily passionate about colour and her life has revolved around colour. Natalie explores and experiments with the palette, when hand dyeing her wool and creating her brightly coloured art works. Natalie has been teaching weaving and macramé for the last 5 years around the world. She is part of leading boutique textile and design tours and creative retreats, currently in Japan, India and Bali. After leaving her life as a pastry chef, Andrea’s hands found the necessary freedom to begin creating with fibre instead of flour. She focuses on designing knits to fit the modern wardrobe – fun to knit and easy to wear. Andrea has a great love for indulging in new techniques and then sharing them with other knitters thru her patterns and workshops. Her goal is to leave knitters feeling empowered, inspired, and wrapped up in their own beautiful knits! Based in Michigan you can find her traveling the country and beyond to teach and connect with other knitters. 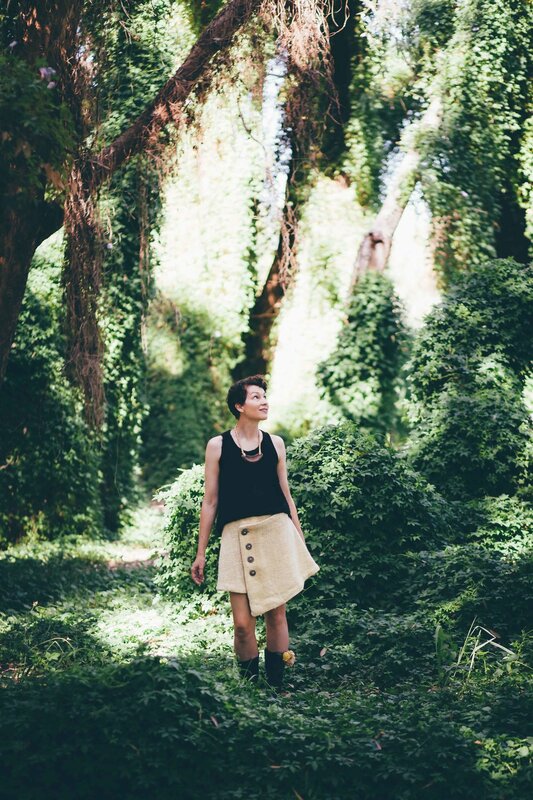 Anna is an avid seamstress, leatherwork enthusiast, sewing blogger and the designer of the Genoa Tote. She is also a self-confessed all-or-nothing person, a lover of scarves and a recovering perfectionist. 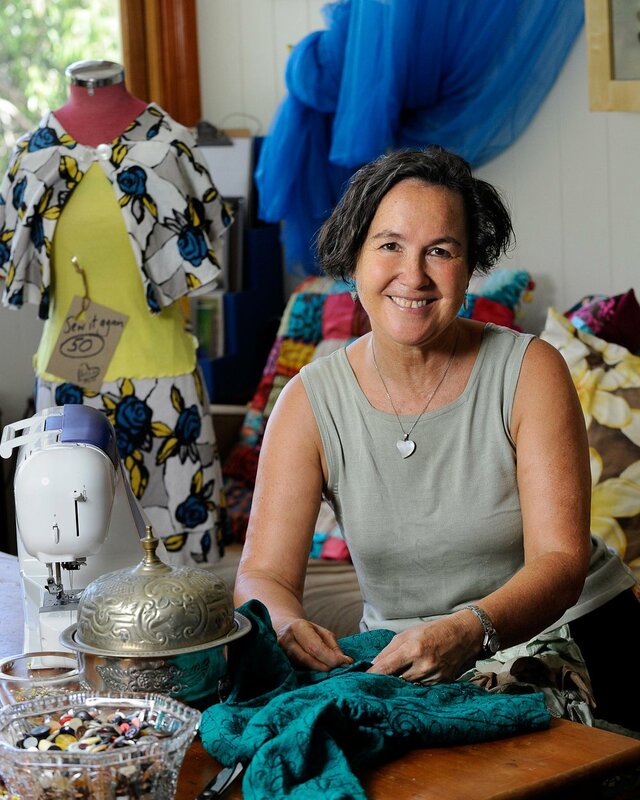 Predominately self-taught, Anna loves a challenge and continues to expand her knowledge and skills through interaction with the sewing community and as a regular pattern tester for Australian independent designers. Anna loves sharing her sewing knowledge in the classroom and her sewing adventures on her blog and via Instagram. Georgie fell into knitwear design out of necessity. A gorgeous 200g ball of gradient yarn and no suitable pattern forced her to wing it and write her own. After publishing photos of the finished dress on her blog, she received countless requests for both the pattern and other sizes! Since then, Georgie has self-published over 50 knitting patterns, including the very popular milo vest which has over 6000 projects on Ravelry and is ranked in Ravelry's Top 10 most popular patterns. Her focus is mainly kids' knits but she is slowly venturing into the world of adult garment design. Felicia is the founder of The Craft Sessions and more recently Soul Craft. She is passionate about bringing people together around their shared love of craft, and creating events that nurture their spirits. She writes about “all the head stuff that comes up when we make things with our hands” on The Craft Sessions blog as well as ideas about consumerism, slow fashion and running. Felicia has spent the last year or so writing a book on the meaning of making – how it supports us in our everyday, connects us to community and ultimately changes us by bringing deep joy to our lives. Heather Thomas is a Melbourne based designer and maker. Fascinated by yarn, she draws upon a rich colour palette and a long practice in knitting and natural dyeing to explore form and embody simplicity in cloth. 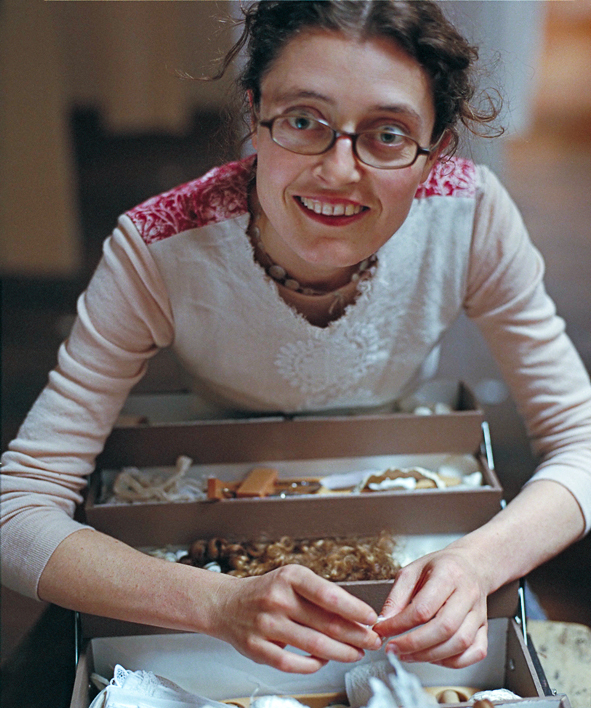 Heathers work is informed by her first hand research into traditional textile practices around the globe. Having focused on mastering the art of machine knitting, she enjoys sharing her knowledge and inspiring creativity in others. Kate Ulman lives on an organic farm in Daylesford with her three gorgeous girls and her handsome farmer boy. Kate tries to lead a slow life by considering the long way around every task. Her meal preparation begins months before with a handful of seeds and some soil, her school lunch baking begins with a trip out to the local bio dynamic wheat grower for a sack of flour, and her children are often dressed in clothing she has sewn using old sheets and tablecloths. Her dream is to one day own a small flock of sheep, shear their fleece, wash it, card it, spin it, natural dye it and then knit it into cozy jumpers and beanies to keep her family warm during the freezing Daylesford winters. Melissa is a maker and writer living with her partner and two teenagers in Wellington, New Zealand. She has kept a blog for more than a decade, and divides her working time between textile work and freelance journalism in the education field. Ilka White’s practice spans textiles, sculpture, cross-disciplinary collaboration and art-in-community. Principals of sustainability and the forces at play within the natural world are often reflected in her work and a love of world textile traditions informs her making and teaching. Ilka taught Weaving, Textile History and Crafts in Society at RMIT for many years and now facilitates arts projects across the country. She’s a great believer in the ability of beauty and creativity to lift the spirit. 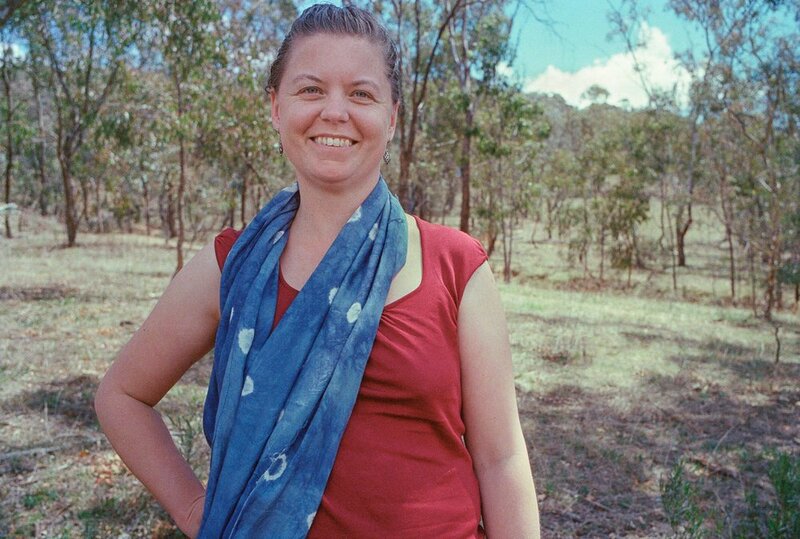 Ruth was very privileged to work in Arnhem land for 18 months and she spent her spare time with the Yolgnu women learning and making baskets. She also visited South East Asia, spending time on a floating village working with the weavers using the water hyacinth plant. She currently runs her Craft School Oz business delivering basket making workshops and other topics all over Australia. She enjoys meeting and connecting with people and sharing her knowledge. We won't sell your details! Ever.